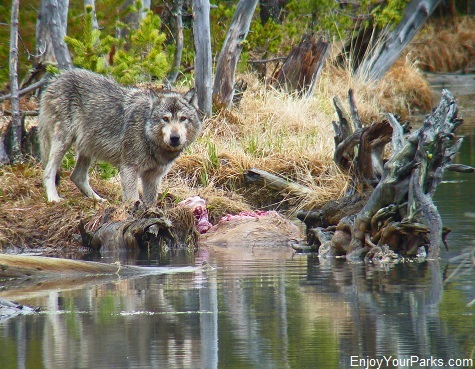 Gray Wolf with an elk carcass on North Twin Lake near Norris Geyser Basin in Yellowstone National Park. 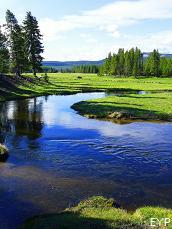 The Gibbon River is one of the prettiest rivers in Yellowstone National Park. 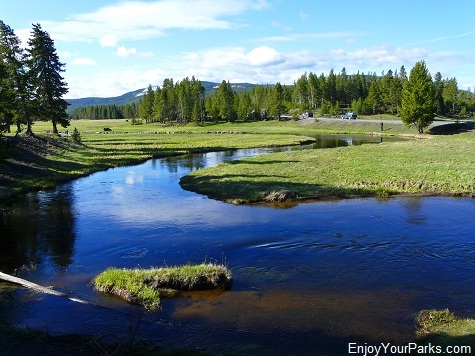 The famed Gibbon River runs directly through the Norris Area, and it is definitely one of the most beautiful little rivers in Yellowstone National Park. 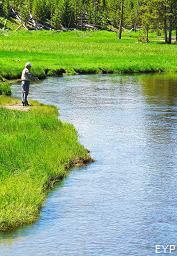 There's just something about the water, and the green grass that surrounds it that makes the Gibbon River so special. 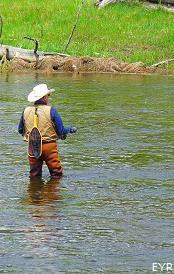 It's also a popular river for avid fly fishermen. 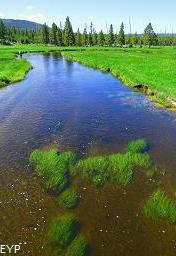 It's really a treat to drive along this wonderful waterway. 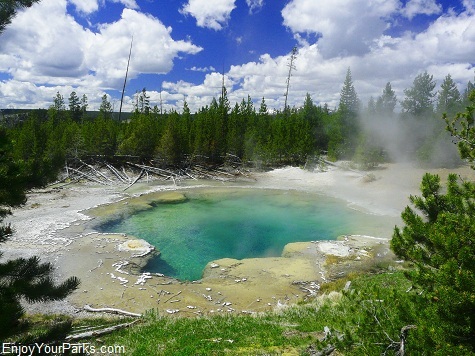 The Norris Geyser Basin in Yellowstone National Park is the hottest and most volatile geyser basin in the park. 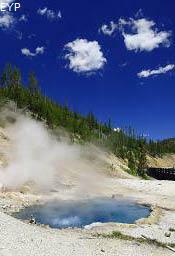 Norris Geyser Basin is the hottest geyser basin in Yellowstone National Park, and it also holds the tallest geyser in the world, which is Steamboat Geyser. 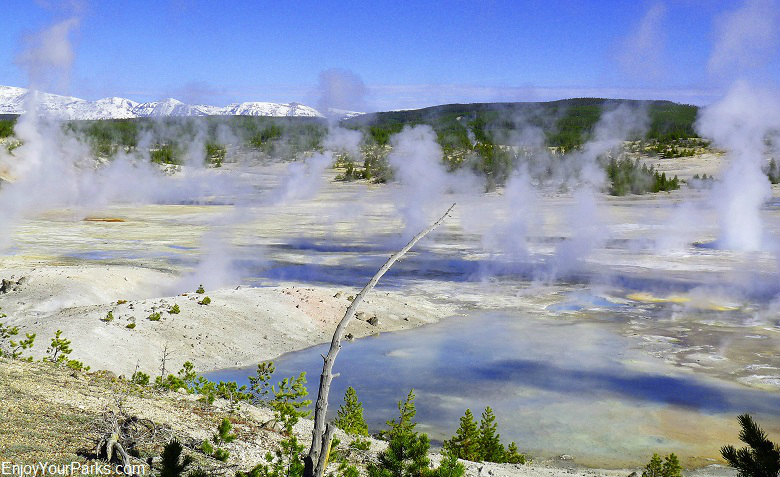 Most of the hydrothermal features are at the boiling point of 199 (F), and scientists found the hottest spot in Yellowstone just a few hundred feet below the surface of the Norris Geyser Basin, which measures 459 F! 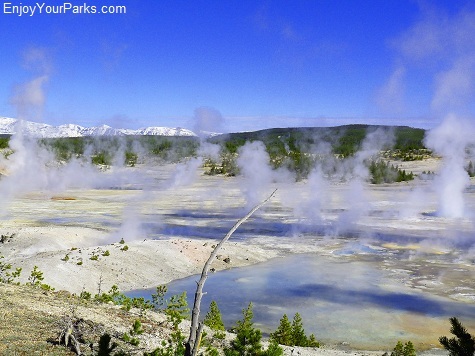 The Norris Geyser Basin may not be the prettiest Yellowstone Park geyser basin, but it may be the most fascinating. 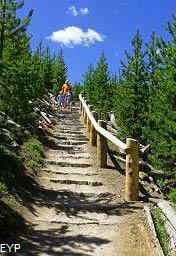 This is the entry way to the Norris Geyser Basin in Yellowstone Park. 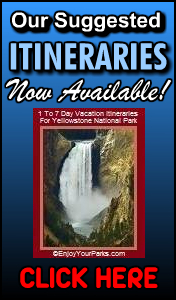 Norris Geyser Basin in Yellowstone National Park covers a large area, so plan on spending some time here is you want to see the entire basin. 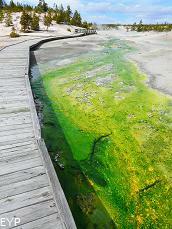 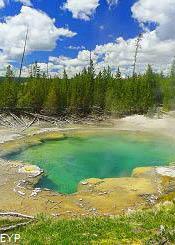 Emerald Spring at Norris Geyser Basin in Yellowstone National Park. 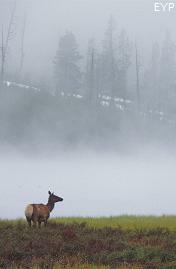 Norris Geyser Basin, Yellowstone National Park. 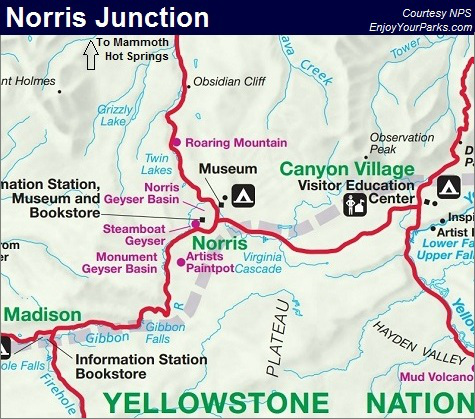 Norris Geyser Basin in Yellowstone National Park is also the most volatile basin in the park, mainly because it sits directly on the junction of three major fault lines. 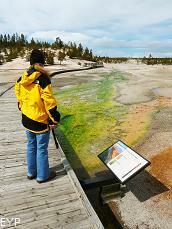 Whenever there is significant seismic activity, there is often a change in geyser behavior. 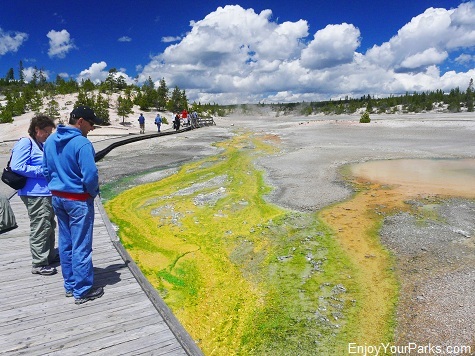 Norris Geyser Basin is an ever-changing, super hot and super volatile place that is really fun to explore and fascinating to learn about! 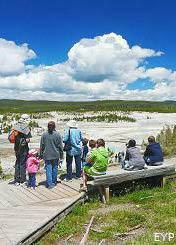 These young visitors are waiting for Steamboat Geyser to erupt. 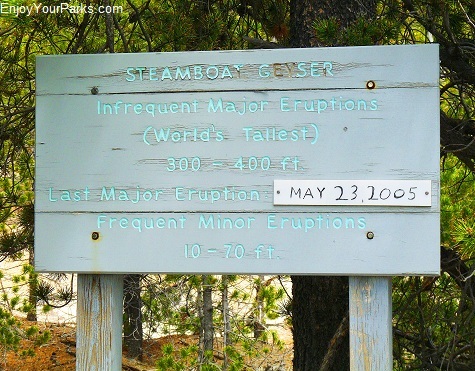 They may be waiting awhile because the last eruption was on May 23, 2005. 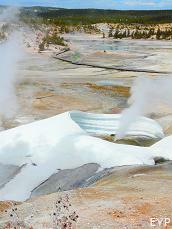 Steamboat Geyser in Yellowstone National Park is the tallest geyser in the world. 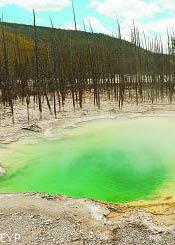 Unfortunately it doesn't erupt very often. 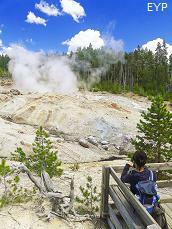 Steamboat Geyser is located at the Norris Geyser Basin in Yellowstone National Park, and is the largest geyser in the world, measuring nearly 400 feet in height. 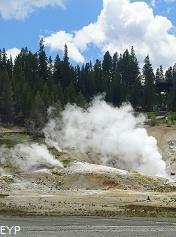 Unfortunately, this monstrous geyser does not erupt regularly or very often. 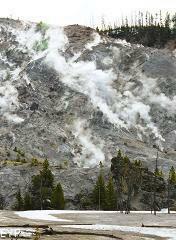 It's last eruption was on May 23, 2005. 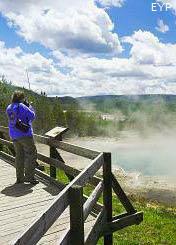 So if you have your heart set on watching the biggest geyser in the world erupt, you may be either waiting a really long time, or you may get EXTREMELY lucky and hit it just right! 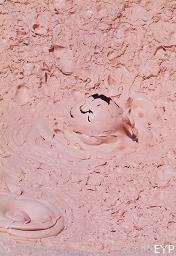 We'd love to show you a photo of an eruption, but we haven't lucked out yet. 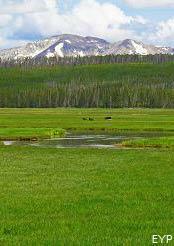 This is the view from the Norris Campground in Yellowstone National Park. 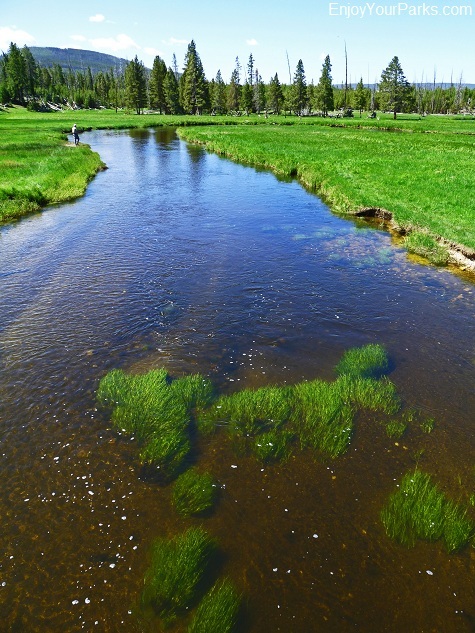 The Gibbon River flows right beside the campground. 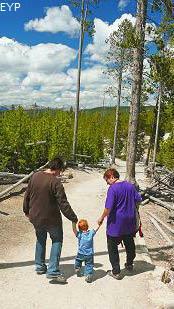 The Norris Campground in Yellowstone National Park is a really nice campground in a very pretty area. 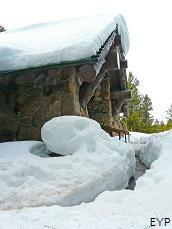 It's nestled against the gorgeous Gibbon River. 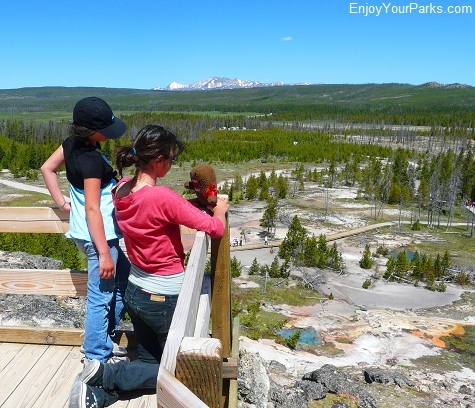 If you end up staying at the Norris Campground on your journey through Yellowstone, you'll definitely enjoy your time here. 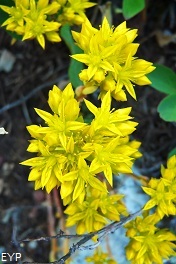 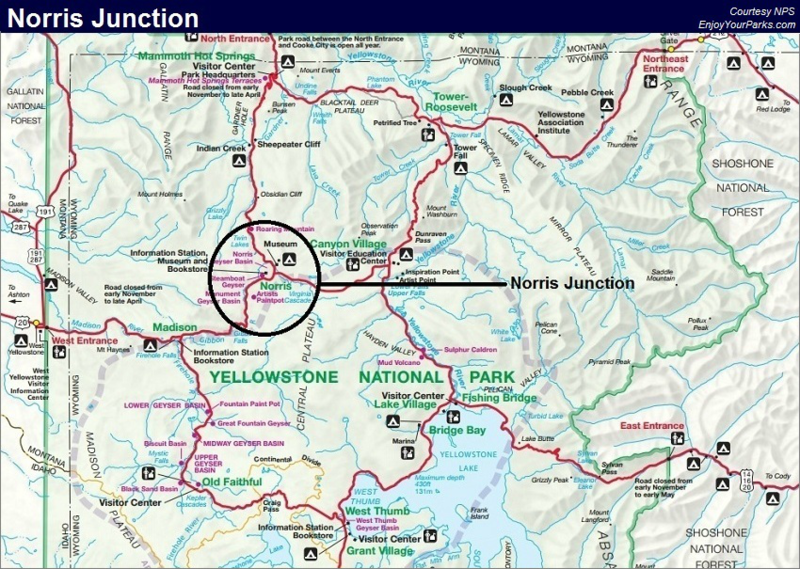 For more information on the Norris Campground, click here. 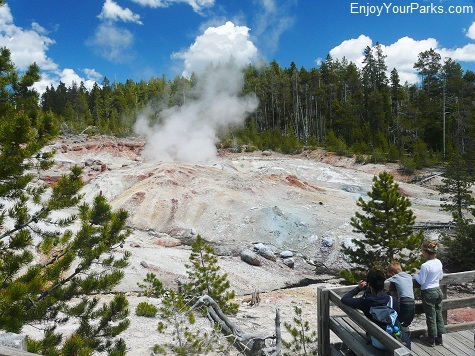 Located three miles south of Norris, Artist's Paint Pots in Yellowstone National Park is a small area of 50 springs, geysers, vents and mud pots. 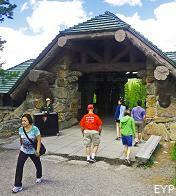 The trail is only about a half of the mile in length, and it's an interesting place to visit if you have time. 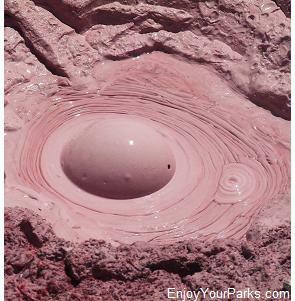 The mud pots are the main attraction, as well as the beautiful view from the overlook on top of the ridge. 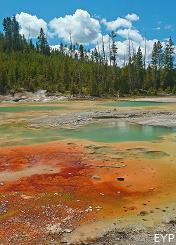 If you like paint pots, this is the place to be. 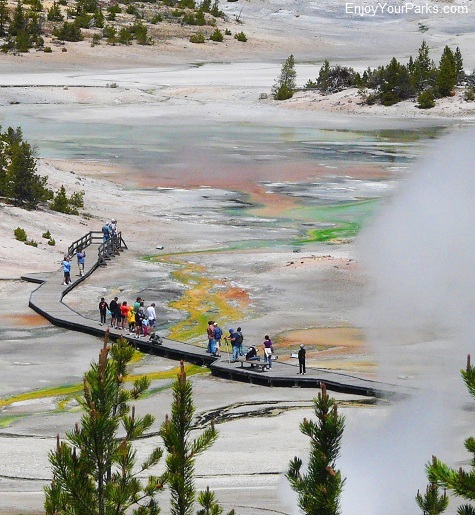 The view from the top of the boardwalk is quite spectacular, and is one the highlights of the Artist's Paint Pots walk in Yellowstone National Park. 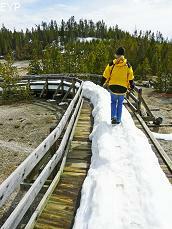 Gibbon Falls is another "Yellowstone Classic". 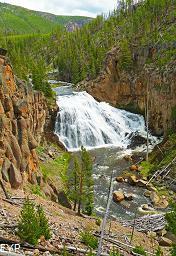 GIbbon Falls is on the Grand Loop in Yellowstone National Park, about 8.5 miles from the Norris Geyser Basin and about 4.5 miles from Madison Junction and is extremely popular. 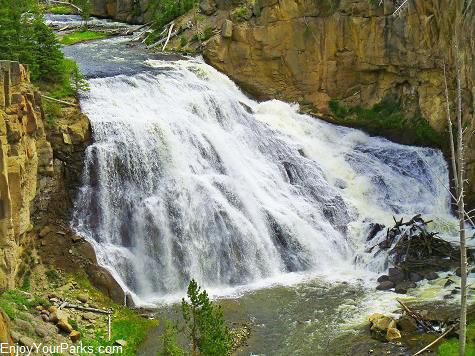 These fabled falls are 84 feet high, and you can view these falls from the brand new overlook they just built (2010). 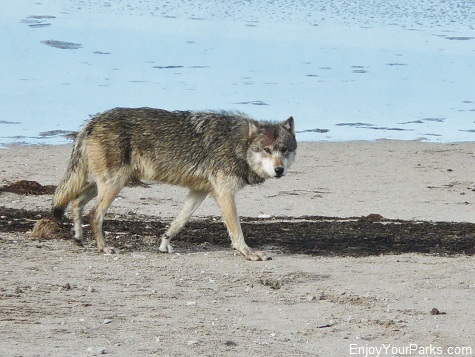 It's right off the highway, and is definitely worth stopping for. 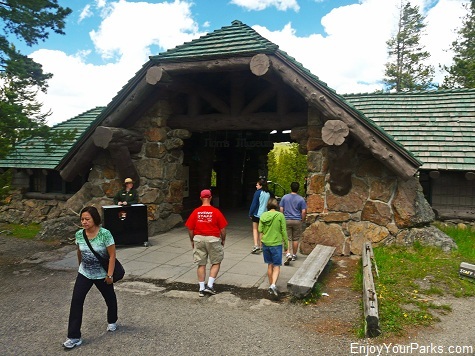 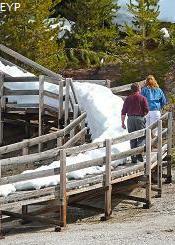 Roaring Mountain is also popular stop for visitors along the Norris Road in Yellowstone National Park. 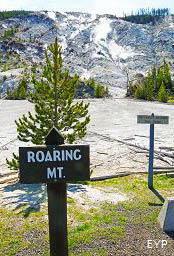 Roaring Mountain is very appropriately named: It's a mountain that roars! 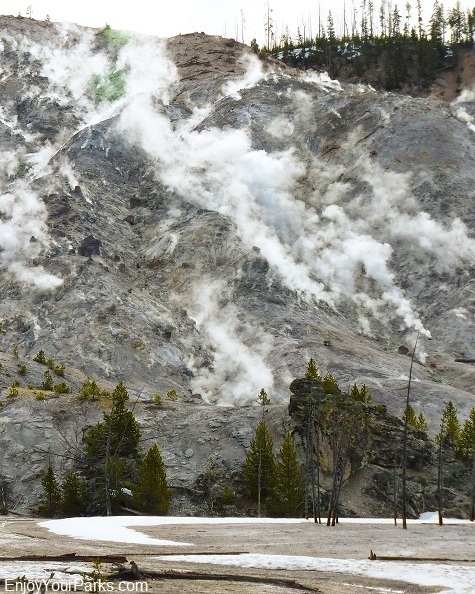 This unique hydrothermal feature is basically an entire mountain side of fumaroles, or vents, where super hot steam is released. 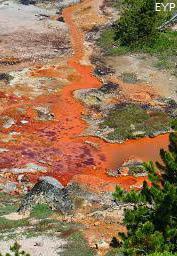 Roaring Mountain is located along the Grand Loop in Yellowstone National Park approximately four miles north of Norris. 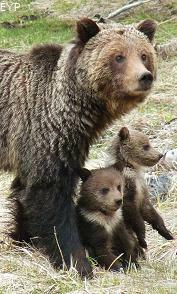 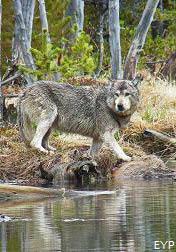 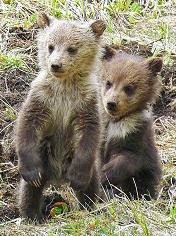 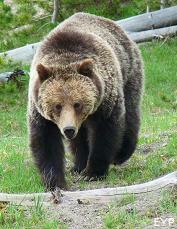 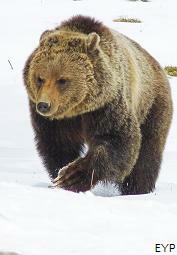 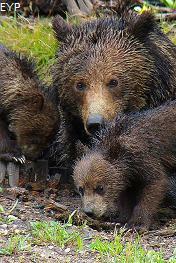 When we think of the Norris Area in Yellowstone National Park, we think of grizzlies and wolves. 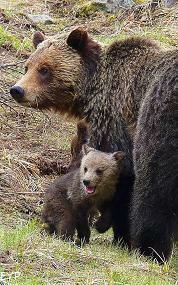 They really seem to like this area, and we definitely enjoy seeing them here! 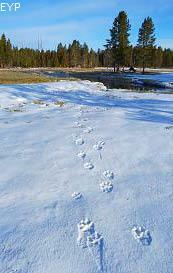 We mainly see them in the spring of the year, but at any time a grizzly or wolf can show up and completely make your day! 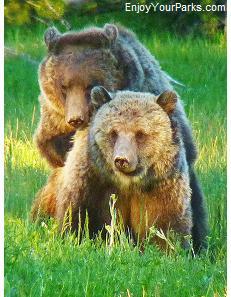 The photo to the left is of two grizzlies "courting" during the early summer mating season. 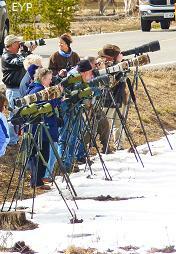 We photographed these two "love birds" just north of Roaring Mountain. 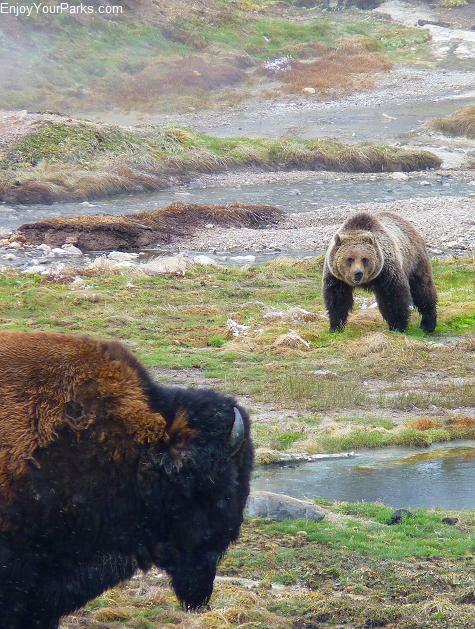 This is quite a rare sight to see, so we felt very fortunate to be at the right place at the right time. 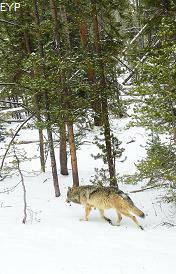 Usually a courting pair will "date" for about a week, and then they go their separate ways. 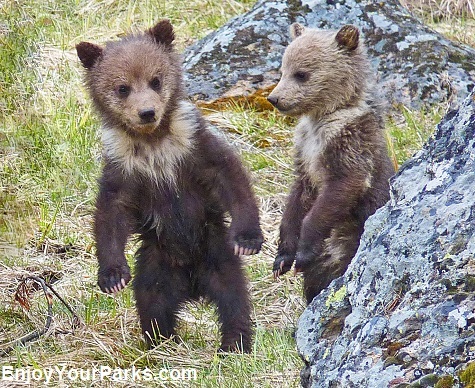 These cute little grizzly cubs were hanging around just off the road north of Roaring Mountain in Yellowstone National Park. 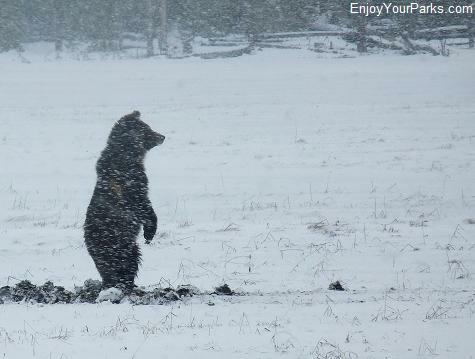 A grizzly bear stands during a spring snow storm to get a better look at something that caught his eye just north of the Norris Geyser Basin in Yellowstone National Park. 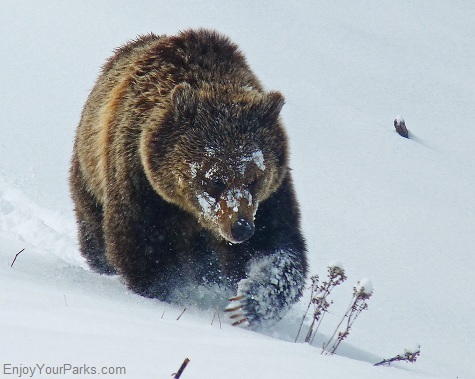 This grizzly plowed through the fresh snow that was dumped by a late spring storm near the Norris Geyser Basin in Yellowstone National Park. 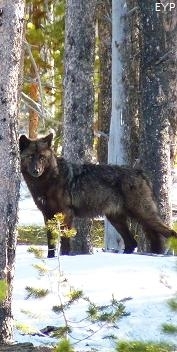 Gray wolf walking along the shore of Nymph Lake near Norris Junction in Yellowstone National Park. 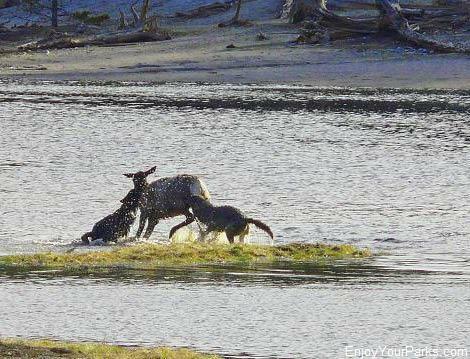 These two wolves successfully took down this elk at Nymph Lake just north of the Norris Geyser Basin after a long, hard fought battle.